Fred. Olsen Cruise Lines has launched its new ‘Worldwide Cruises 2016/17’ brochure along with news that there are 20 adults-only cruise planned. In 2016/17, Balmoral, Braemar, and Black Watch – will be visiting 253 destinations across 84 countries around the globe. A total of 20 adults-only cruises, for passengers aged 18 or above, are offered to guests who would rather cruise with people of a similar age. These adults-only voyages include Braemar’s 11-night ‘Great British Cruise’ and a 14-night ‘Portuguese Islands & Cities’ holiday aboard Balmoral. Fred. 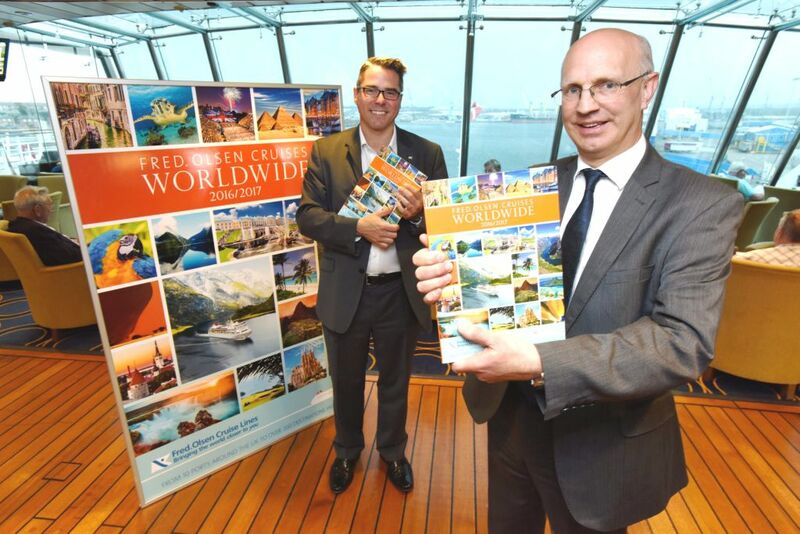 Olsen’s new ‘Worldwide Cruises 2016/17’ brochure includes 23 maiden calls to Arendal (Norway); Baltimore (Maryland, USA); Fort William (Scotland, UK); Tasiilaq (Greenland); Pyramiden (Svalbard); Holy Loch (Scotland, UK); Laguna San Rafael (Chile); Isla de San Andrés (Colombia); Gloucester (Massachusetts, USA); Klaksvik (Faroe Islands); Charlotte Amalie (St. Thomas, United States Virgin Islands); Falmouth (Jamaica); Banana Coast (Trujillo, Honduras); Tampa (Florida, US); Rosslare (Ireland); Aabenraa (Denmark); and Rovinj (Croatia). In addition, there will be six ‘mystery’ maiden calls, which will only be revealed to those guests who book a place on Fred. Olsen’s first-ever ‘Maiden Call Mystery Cruise’. Furthermore, Fred. Olsen’s Black Watch and Boudicca will be embarking on two ‘Grand Voyages’ in January 2017, visiting a total of 67 ports in 38 countries between them. Fred. Olsen will be sailing from a total of ten regional UK departure ports in 2016/17 including Southampton; Dover; Harwich; Tilbury; Falmouth; Liverpool; Newcastle; Rosyth (for Edinburgh); Greenock (for Glasgow); and Belfast.